Despite lack of official interactions, relations between Iran and the North Atlantic Treaty Organization (NATO) continued in 2015 in spite of differences in nature, ideology, approaches and goals on the two sides. While NATO was trying to have Iran's cooperation on the basis of band-wagoning model in 2015, it trod the path of practical and covert hostility against Iran and took remarkable steps in this regard. Such issues as the Iran deal; relative confrontation between Russia, Turkey and NATO; creating security in Euroatlantic and the Middle East regions; NATO’s missile defense shield; the crisis in Yemen; the quality of global anti-Daesh coalition; extension of NATO forces’ mission in Afghanistan; the fight against terrorism; and the presence of NATO in the periphery of Iran were among common denominators between Iran and NATO in 2015. Although due to the nature, level, scope and very vast expanse of developments in the Middle East and North Africa (MENA) in 2015, NATO tried to make the most of Iran's geopolitical standing and soft power in line with international and regional developments, the Islamic Republic’s strategy continued to be a function of the issue of securitization. Therefore, no profound, sustained, institutional and multilateral cooperation could develop between Iran and NATO in a serious manner. Failure to achieve the goals pursued through deployment of NATO missile defense system in 2015, mostly due to purposive action and serious opposition from Russia, was taken and announced by the West as Iran-based failure of the system. Following the Lisbon summit (in 2010), NATO was making strenuous efforts to deploy this system. Continuation of tensions in relations between Russia and NATO in 2015 further confirmed the hypotheses that most efforts by NATO within the international system are at odds with the goals pursued by Russia and China, not Iran, and are aimed at strengthening strategic influence of the Western front in international and regional developments by taking advantage of NATO as a tool. NATO’s aggressive reactions such as welcoming the membership of Montenegro, as well as its aggressive actions in the face of Russia’s operations in the Crimea Peninsula, Ukraine and Syria in late 2015, show that Russia has accepted that following new global developments, including the Arab Spring, relative compliance and purposive partnership with NATO in issues related to the Arab Spring, including de facto acceptance of Operation Unified Protector in Libya, has not be able to meet a maximum degree of Moscow’s interests. As a result, Russia’s aggressive behavior in Syria is some sort of aggressive and preventive reaction in the face of the West-based and NATO-based coalition’s measures in Russia’s spheres of influence in 2015. NATO was among those organizations and institutions that welcomed and lauded Iran's nuclear deal and the new approach adopted by the United Nations Security Council (UNSC) to Iran in 2015. Perhaps the reason why NATO welcomed the Iran deal is rooted in its willingness to have Iran as a partner for the Western front and also in NATO’s concerns about Iran's possible inclination toward an Asian-based and security-based order like the one promoted by the Shanghai Cooperation Organization (SCO). Iran's more serious inclination toward SCO in 2015 and its willingness to become a full member of this international body has not gone unnoticed by NATO. Turkey’s interactions with and inclination toward NATO in 2015 can be of interest to Iran. Turkey’s provocative and instrumentalist behavior in resorting to NATO for the regulation of relations with international and regional actors, trends and interactions, especially Ankara’s effort to get NATO’s support for its strange downing of a Sukhoi Su-24 Russian bomber over Syria in last 2015, can be considered at odds with Iran-based approaches to regional order. As for creating security in Euroatlantic and the Middle East regions, NATO staged one of its biggest military maneuvers in October and November 2015 over a vast area covering the Mediterranean, Portugal, Spain and Italy, in order to bolster operational capabilities of its combat and offensive forces. However, in reaction to Daesh threat, as one of the most important global threats, NATO took no new, innovative and creative steps but only lent its support to the Western coalition’s operations against Daesh. Of course, NATO’s measures are at loggerheads with Iran's large-scale, impartial, long-term and operational approach vis-à-vis Daesh. Although by supporting the United Nations Security Council Resolution 2249, NATO has apparently thrown its weight behind measures taken in this regard, in reality, NATO’s practical steps are aimed at facilitating activities of militant and suppressive groups across the Middle East. In addition, NATO conducted partnership programs in 2015 in such regions as the Mediterranean, the Levant, Iraq, with Arab countries, with member states of the (Persian) Gulf Cooperation Council [(P)GCC], in the Persian Gulf, with countries in Central Asia and Caucasus, and with Pakistan, while extending its military presence in Afghanistan up to the end of 2016. In doing so, NATO proved that this international alliance is bent on serious confrontation with such major Asian actors as Russia, China and Iran in South and West Asia in 2015. On the whole, the year 2015 was a time for continued clash of interests, values, goals and approaches between Iran and NATO at both international and regional levels. If the existing equations, variables and goals remain unchanged, continuation of this situation between these two actors is predictable for years and even decades far beyond 2015. 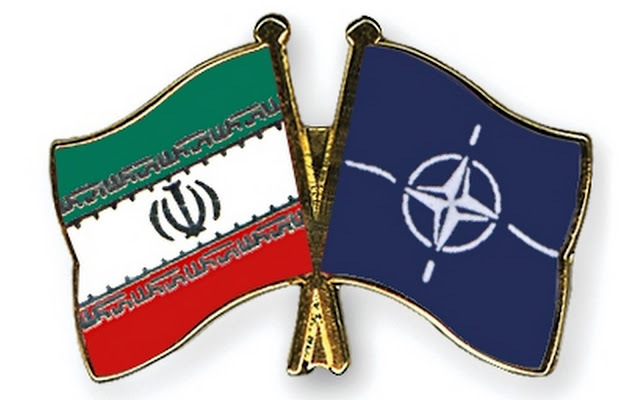 Therefore, in case of the continuation of NATO’s strategic hostility in the face of impartial approaches in Iran's foreign policy, the organization could see serious and new developments in its operations and functions with regard to global affairs beyond the year 2015. This article was originally published at IranReview.org on Jan 3, 2016.